Longevity in the entertainment business is an elusive concept. Slippery as an eel. Statistically pretty bloody unlikely. Evidence shows that lengthy success requires an artist to either (a) regularly reinvent their showbiz persona and take a punt (see: Bowie, Madonna, Prince), or (b) find something they do particularly well and just keep hammering away (see: AC/DC, The Rolling Stones). For every rule there are exceptions, however, and it could be argued that Fatboy Slim is pretty unique in that he has done a bit of both. On one hand, the Englishman has spent over 20 years honing an instantly-recognisable DJ-ing style and hasn’t put out a studio album since 2004. On the other, he’s the guy with an armful of aliases, a continually-evolving method of effecting euphoria, and a back story as interesting and varied as most. With appearances locked in at the third Electric Gardens festival in Sydney, Brisbane, Perth and Adelaide through January, the bonafide EDM legend is bringing his unique party-starting style (and trademark Hawaiian shirts) back to Australia just two years after his last shows here. It’s safe to assume he’ll be bringing his A game, as always. “Australian crowds, they’re not shy,” he told Red Bull last year. 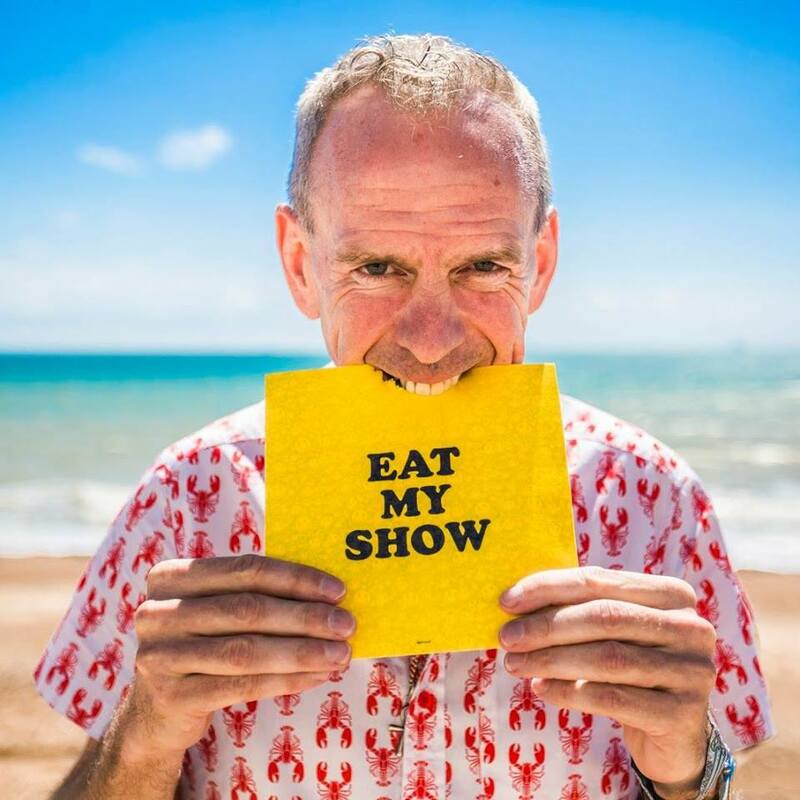 While music-lovers now have a pretty good idea of what to expect from a Fatboy Slim show, it’s been a long journey for the 54 year-old to get to where he is today. The man also known as Norman Cook has come a long way, baby, since being a skinny, pale Housemartin singing a cover of Isley-Jasper-Isley’s ‘Caravan of Love’ on Britain’s Top of the Pops in 1986 or reinventing The Clash’s basslines for Beats International’s smash ‘Dub Be Good to Me’ at the turn of the ’90s (and the coming of ecstasy). In 1996, his world changed. The Fatboy Slim moniker was born (a name plucked from “thin air” he told NPR in 2001), he released the triple-platinum-selling You’ve Come a Long Way, Baby album a couple of years later, and a swag of awards and international recognition in the process. A superstar DJ was born. The transition required a new persona, meaning he became “like James Brown without the band,” he told The Guardian recently. More hit records and a never-ending whirlwind of parties, festivals, gigs, travelling and even more festivals, gigs and parties lead to him not only becoming one of the biggest names in dance music worldwide, but also alcohol-dependent – a situation he didn’t address until 2009. Sobriety called for further transition so the Fatboy Slim party didn’t suffer. He says a genuine love of the music and his audience keeps him as keen as ever. “The people I play the music to … keep me inspired and amused,” he told Time Out this year. “Last year was fun and I fully intend to deliver more of the same. I just try and makes sure there’s a little bit of everything for everyone. “It’s strange, especially when you travel around, [but] I always have a look at the crowd before I go on to see roughly how I’m going to approach it,” he told Noisey. Naturally the transition to a sober life was a more serious affair than simply adjusting his approach to a show. “I kind of lived the life of Fatboy Slim 24 hours a day for about a decade, and it nearly killed me,” he said in an interview with Digital DJ Tips. “It’s untenable to try and live like that all the time, you’re not a responsible citizen, and you shouldn’t be left in control of children. Fans old and new are benefiting from the change too. “[Sobriety has] prolonged my DJing life,” he told Noisey. Now a veteran of EDM and a stalwart of the music business, he’s in a good position to assess the scene – with the help of a clear head. “A lot of the old school DJs are properly weird characters, whereas the new school are young, good-looking, but not hugely interesting,” he told Noisey. With fire still clearly in his belly and a desire for playing shows stronger than ever, Fatboy Slim is not in the mood to hang up his headphones just yet. Retirement is an impossibility when he’s only just successfully learned how to separate his onstage and offstage personae, he recently told The Guardian. “For me, Pete Tong, Carl Cox, we are the first wave of big DJs so there’s no precedent [to retirement],” he said. For someone who has been there from the start to still be at the top of his game more than 20 years later is more than unlikely; it’s almost impossible, and Fatboy Slim’s long and eclectic contribution to music has arguably earned him the right to dictate his own future. “I’ll step down when either the crowds or I stop enjoying it,” he told The Guardian.